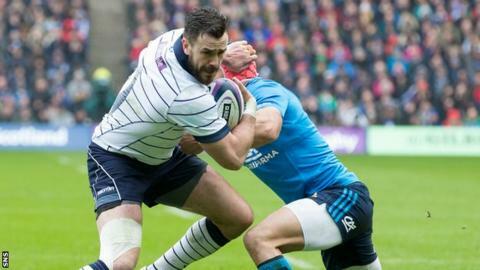 Scotland centre Alex Dunbar has been ruled out of next month's summer tour to Canada, USA and Argentina. Dunbar sustained a hamstring injury in training with Glasgow Warriors. He has been replaced by Edinburgh's Mark Bennett, who could win his first cap since the 61-21 Six Nations loss to England in 2017. Scotland face Canada on Saturday 9 June and USA on 16 June, with both games live on the BBC, followed by Argentina seven days later.